He has subsequently done Post Graduate Diploma in Cyber Laws from Indian Law Institute, New Delhi ( PGDip-Cyber Laws-2014); Cyber Forensic Analyst (Plus), from Asian School of Cyber Laws-Pune ( CFA+- 2015); Certified Ethical Hacker from EC-Council( CEH -2015) and Post Graduate Diploma in Alternate Dispute Resolution from Indian Law Institute, New Delhi ( PGDip-ADR-2016). He is the Associate Member of Chartered Institute of Arbitrators ( ACIArb). He is currently pursuing LL.M. (Cyber Laws) from I.P.University, New Delhi. ( 2016-18) in its weekend programme. Mr. Dalela, has worked, at senior management levels in reputed corporate houses in Human Resources Management and Legal functions. Some of the leading corporate, where he worked are Jagatjit Industries Ltd; Dabur India Ltd; Wipro Infotech Ltd; J.K. Industries Ltd; Network Limited; Thapar Group; Spice Net Limited and Spice Mobiles Limited (Modi Group). He has an exposure of working in Glass; Pharmaceuticals; Information Technology, Chemicals, Telecom, Office Automation and BPO Industries. 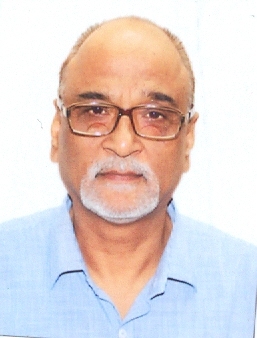 He possesses rich experience of over 33 years in industry in Human Resources Management, Legal, Commercial, Administration and Training and Development functions. Mr. Dalela is empanelled as an Arbitrator with Indian Council of Arbitration (ICA), New Delhi and Construction Industry Arbitration Council (CIAC), New Delhi. He is about 60 years of age and resides in Delhi-NCR. He can be contacted at 09818045168 and amod.dalela@gmail.com. This website has been designed only for the purposes of dissemination of basic information on KOVE GLOBAL; information which is otherwise available on the internet, various public platforms and social media. Careful attention has been given to ensure that the information provided herein is accurate and up-to-date. However, KOVE GLOBAL is not responsible for any reliance that a reader places on such information and shall not be liable for any loss or damage caused due to any inaccuracy in or exclusion of any information, or its interpretation thereof. Reader is advised to confirm the veracity of the same from independent and expert sources. This website is not an attempt to advertise or solicit clients, and does not seek to create or invite any lawyer-client relationship. The links provided on this website are to facilitate access to basic information on KOVE GLOBAL, and, to share the various thought leadership initiatives undertaken by it. The content herein or on such links should not be construed as a legal reference or legal advice. Readers are advised not to act on any information contained herein or on the links and should refer to legal counsels and experts in their respective jurisdictions for further information and to determine its impact. KOVE GLOBAL advises against the use of the communication platform provided on this website for exchange of any confidential, business or politically sensitive information. User is requested to use his or her judgment and exchange of any such information shall be solely at the user’s risk.